October 19, 2012 - A former American Airlines baggage handler was sentenced to life in prison Tuesday for his leadership of an international drug trafficking organization. This sentencing comes as a result of an investigation by U.S. Immigration and Customs Enforcement's (ICE) Homeland Security Investigations (HSI), U.S. Customs and Border Protection, the Port Authority (of New York & New Jersey) Police Department, the Internal Revenue Service, the United States Postal Inspection Service, and the Drug Enforcement Administration. "Victor Bourne and his crew of corrupt former American Airline employees mistakenly viewed drug smuggling as a path to riches. The sentencing today serves as a stern warning about the consequences awaiting drug smugglers," said James Hayes special agent in charge of HSI New York. "HSI will continue to use its resources and the expertise of its law enforcement partners to flush out criminals who attempt to exploit our borders. Using his insider status, Bourne turned American Airlines into his personal narcotics shuttle service, running a criminal organization that ignored passenger safety and security in the pursuit of their greater goal - enriching Victor Bourne," said Loretta E. Lynch, U.S. attorney of the Eastern District of New York. "Bourne not only abused the trust of American Airlines to satisfy his own financial greed, but by compromising security at JFK Airport he placed all travelers at risk. In this post-9/11 era, we will continue to aggressively investigate and prosecute those at our ports of entry who violate our nation's drug trafficking laws and threaten the integrity of our borders." Victor D'Costa Bourne, 37, was the leader of an international drug trafficking organization that smuggled narcotics from the Caribbean into the United States through John F. Kennedy International Airport (JFK). A federal jury in Brooklyn returned guilty verdicts against Bourne on charges of leading a continuing criminal enterprise, importing and distributing illegal narcotics, and money laundering, after a month-long trial in October 2011. In total, the investigation that culminated in Bourne's conviction and sentence has resulted in 20 convictions, including the conviction of 19 airline employees, the seizure of 13 kilograms of cocaine and 2,900 pounds of marijuana, and the forfeiture of $6.9 million. The evidence at trial proved that, between 2000 and 2009, the Bourne organization utilized corrupt employees of commercial airlines, including American Airlines, working at domestic and international ports of entry to smuggle illegal narcotics into the U.S. and throughout the Caribbean. 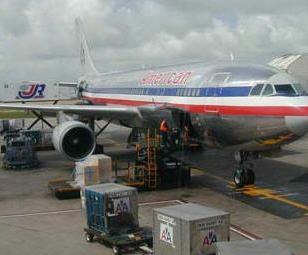 Bourne paid dispatching crew chiefs at American Airlines to assign crews of baggage handlers, who, in turn, were paid tens of thousands of dollars by the Bourne organization to retrieve the cocaine from the flights upon arrival. The cocaine smuggled aboard American Airlines flights into JFK was hidden behind panels in the front and rear cargo holds, the ceiling, wing assembly, avionics, and other vital equipment compartments. After removing the cocaine from these locations, the corrupt baggage handlers hid the drugs inside their coats and airline equipment bags to avoid detection by law enforcement and safely transport the drugs to Bourne. The government proved at trial that, in this manner, the Bourne organization was responsible for the importation into the U.S. of over 150 kilograms of cocaine. At the time of his arrest in 2009, Bourne was preparing to transport even larger quantities of cocaine in cargo containers from the Caribbean to the United States. The evidence presented by the government at trial included testimony from six former American Airlines employees who pleaded guilty to narcotics trafficking charges resulting from their participation in the Bourne organization. Each witness described Bourne's control of the drug smuggling operation, including the recruitment and payment of his workers, the secret locations on the aircraft where the cocaine was hidden, and the growth of the organization over time. One of the employees recounted a conversation in which Bourne stated, in substance, that he "started with half a kilo, then got 1, 2, 3, 4, 5, 30, 50." Another government witness, an American Airlines employee at JFK who was not involved in drug trafficking, testified that Bourne accused him of stealing two kilograms of cocaine. This witness testified that Bourne threatened to "kill me, my family, my kids" if the drugs were not returned. Shortly thereafter, Bourne confronted the same employee at the airport and pushed him off of a truck, causing a neck injury. The evidence at trial also established that Bourne was responsible for the shipment of over 5,000 pounds of marijuana aboard cargo vessels, in part through a Brooklyn footwear company, to businesses in Barbados. Bourne reaped millions of dollars in illegal cash proceeds from his illegal drug trafficking, and laundered his drug proceeds through businesses and real estate ventures in Brooklyn and Barbados.